It’s summertime, and the heat is on. In many regions across the US, we do not see just high temperatures. We see record-breaking high temperatures. These highs become more concerning as they are coming in heatwaves and persisting for days and even weeks at a time. 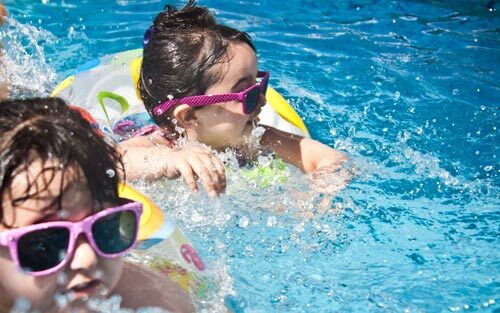 The team at Foot Palace has brought the following tips and ideas together to help you avoid heat-related health issues and thoroughly enjoy your summer. 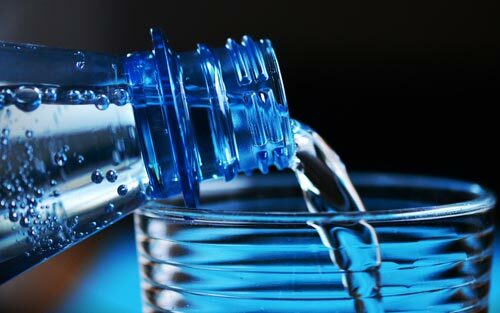 Stay Hydrated – Your body loses water by sweat, breath, and urination. Replacing this water with cool beverages keeps your body temperature regulated and functioning well. Avoid alcoholic or caffeinated drinks, soda, and other drinks high in sugar. These have a diuretic effect and can quickly lead to dehydration and over-heating of the body. If you have diabetes, take diuretics (water pills), have high blood pressure, or take prescription medication, speak with your doctor about how much and what you should or should not drink. Take Frequent Breaks – If you work outside, take frequent breaks to rehydrate, and cool off. If you begin to feel nauseated, dizzy, or weak, get help immediately. Take a Cool Bath – One of the most fabulous ways to lower your body temperature is to treat yourself to a relaxing cooling bath. 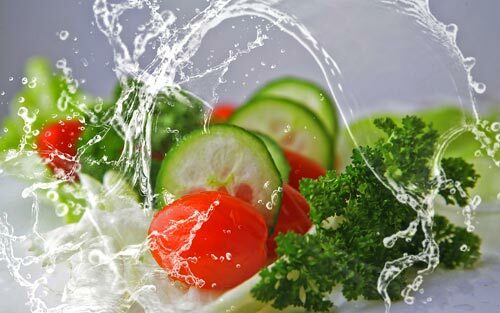 Eat Light – Fruits and vegetables like cucumbers, watermelon, mango, strawberries, celery, and spinach all have high water content and will help you stay hydrated. Eating them refrigerated will help reduce your core temperature very quickly. Eating hot or heavy meals on summer days will raise your body temperature. Wait until sundown or when the temperatures are milder for these meals. When you have high heat and high humidity, your body’s natural cooling system (evaporating sweat) can’t function properly. You sweat, and it just stays there. During these times, running the air conditioner will help alleviate both the heat and humidity. If your home does not have air conditioning, the power is out, or it has stopped working, frequent cool baths or showers during the day will help you avoid overheating. Another option is to find an air-conditioned hangout like a mall, library, theater, or day spa. One of the most annoying things that can happen in the summer is to get a sunburn. They are sensitive, hot to the touch, and damaging to the skin. 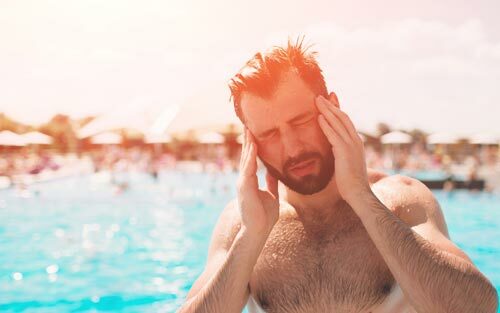 Also known as sun exposure or UV exposure, sunburns damage the skin’s DNA and typically result in a 3 – 5 day stretch of pain, fever, nausea, and fatigue. Look for a brand that protects from UV-A and UV-B rays with a sun protection factor (SPF) of 15 or higher (the higher, the better). Apply sunscreen thickly and thoroughly at least 30 minutes before sun exposure. Apply to all parts of your body exposed to the sun. Including your ears, back, shoulders, and back of the knees. Reapply it after swimming, exercising, or performing strenuous activities. Reapply it frequently when outside for long periods of time. Parked Cars – Never leave senior citizens or children in parked cars. On a 100 degree day, the internal temperature of a vehicle parked in the sun can rapidly rise to lethal temperatures of 130 to 170 degrees. Hats and UV Protective Clothing – Broad-brimmed hats and clothing with a high UV protection factor work exceedingly well to protect sensitive skin from the sun’s UV rays. The brim of the hat should be broad enough to cover the face, ears, and the back of the neck. 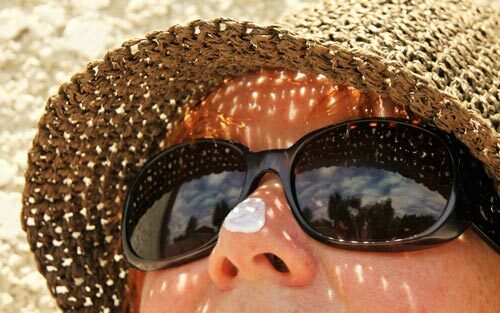 And, even with the hat, apply sunscreen to the face, neck, and ears. 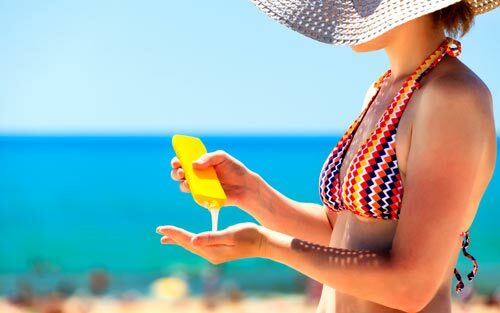 Sunscreen – Use a broad-spectrum SPF 30 or higher sunscreen containing zinc oxide or titanium dioxide which block the sun’s UV rays. Reapply sunscreen immediately after leaving the water. Always protect ears, nose, lips, front and back of legs, and feet even when it is cloudy. Know Where to Go – In the event of a power outage during a heatwave, both kids and seniors should relocate to an air-conditioned location like a mall, library, theater, or restaurant. Staying in the home as the heat rises could prove harmful or even deadly. Specifically for Seniors – Due to illnesses or medication, a senior may not be aware that they are feeling hot or dehydrated. 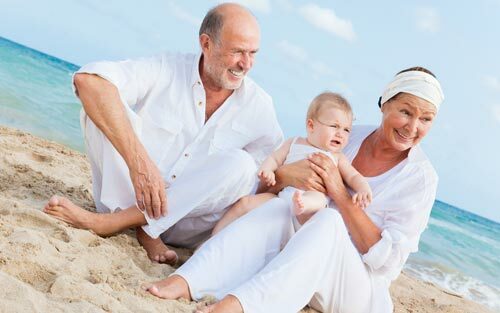 Likewise, most seniors live on a strict budget and will hesitate to run their AC for extended periods of time. As family, friends, and neighbors, it is essential to be vigilant of the health and wellness of each other. Make sure our seniors stay out of harm’s way by checking in on them from time to time – reminding them to keep cool. Watch this video to learn how to keep seniors safe from heatstroke. Summer health is a question of protecting your skin, hydrating your body, and keeping your body temperature regulated. Not everyone is successful at keeping cool. If someone is displaying the warning signs of a heat stroke, your immediate response may save their life. Call 9-1-1, this is a medical emergency. Do not allow the person to consume any food or drink. Move the person to a cooler place. Lower the person’s temperature using wet cloths or a cool bath. Stay with the person until assistance arrives.